On this route you'll discover the wild unpolluted beauty of Val Pontirone. At the beginning of the last century this valley was famous for its flourishing ice industry and lime quarries. The best means of transport is a car. Start from Biasca and head up the valley. After 20 kms you'll be in Malvaglia. Keep to the right and take the narrow mountain road to Lesgiüna, through Pontironetto, Pontirone, Fontana and Biborgh, at which point the road is no longer surfaced. The dirt road is only accessible to agricultural vehicles. There are three alpeggi on this route. The first, Alpe Lesgiüna, is well signed and you should reach it after about 50 minutes' brisk walk. 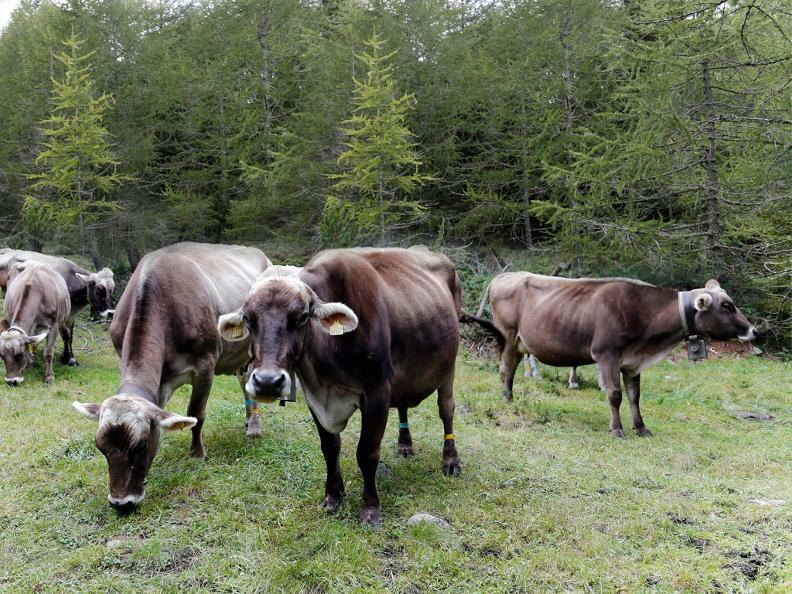 From the middle of June this alpeggio is home to a herd of goats and some heifers. To visit the other two alpeggi, go back to the car park at Biborgh and take the path to Capanna di Cava. 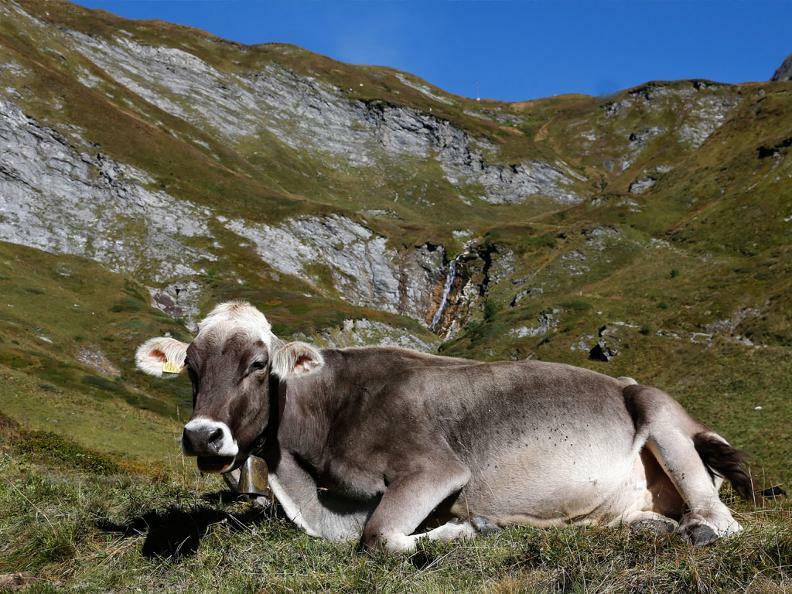 After about 3 kms you'll get to the first alpeggio Alpe di Sceng, where they make good sized full-fat formagelle (2 kg each) and ricotta from buttermilk, on sale from the beginning of September. Another 20 minutes climbing and you'll be at the Alpe Cava, set in the middle of a large flat pasture, where about 100 cows graze happily. 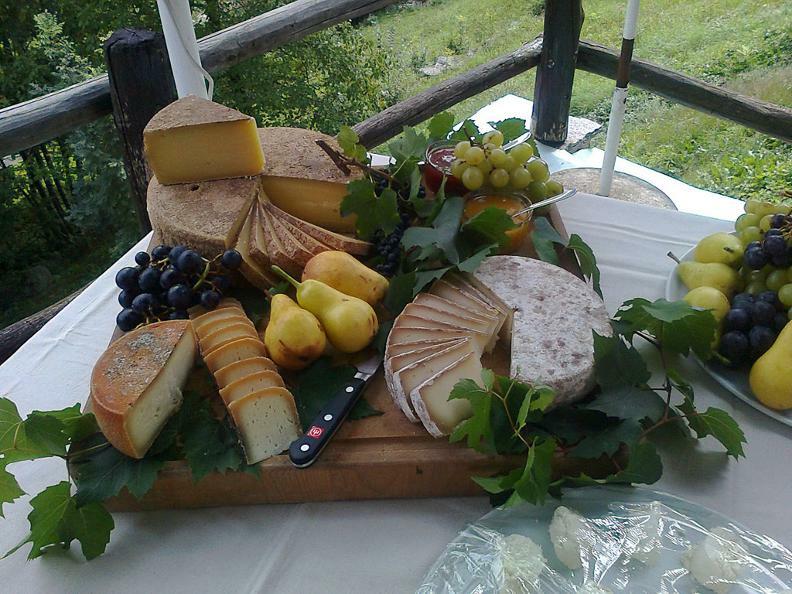 The same cheesemaker from Valtellina has been making the excellent 'Cava' cheeses - semi-soft, full fat, about 10 kg each. On sale only in the presence of a boggese, co-operative owner of the cows. Buttermilk can be bought any time. 15 minutes from the alpeggio is the Capanna Cava - mountain refuge with 50 beds, open throughout July and August and run by a warden; the surrounding landscape has been sculpted into little hillocks by the passage of a glacier. It's advisable to go back by the same route. Similar constructions can be found in Mendrisio and Chiggiogna but the reason for them is still not clear. They could have been forts, hermitages, refuges or store rooms. Various granite quarries in the valley. Val Pontirone: Capanna Cava Tel: 091 870 14 44. Open all year, 50 beds. Warden from middle of June to middle of September. Starting at Biasca, two different trails lead to this mountain hut. The hike takes between 5 1/2 and 6 hours.